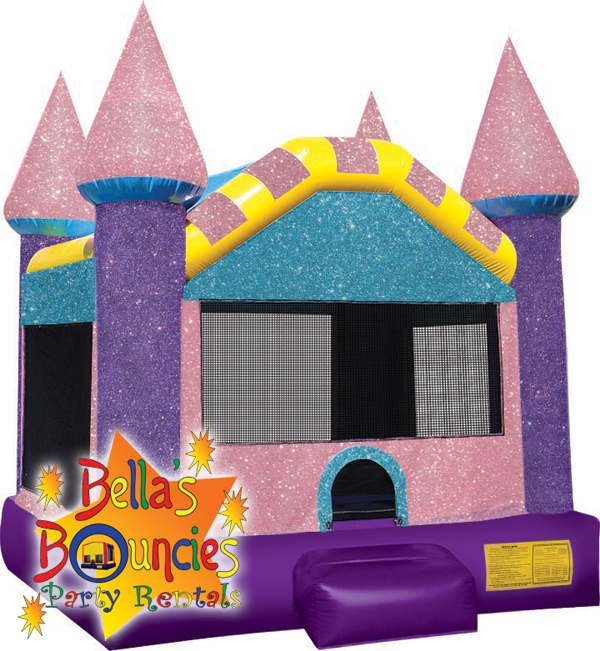 The Dazzling Castle is a large bounce house with super bright colors that sparkle. The dazzling castle is perfect for your princess. Basketball hoop included, balls are not included. If wanting to use balls, use a light weight ball so it doesn't hurt when it hits the kids heads.